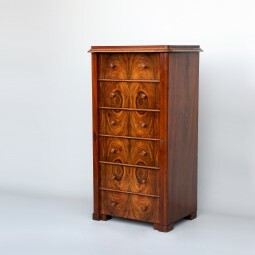 This is a very stiking piece of furniture. 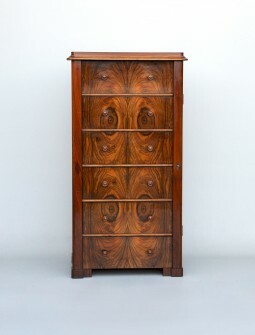 The front of walnut oyster veneers is very unusual and decorative. 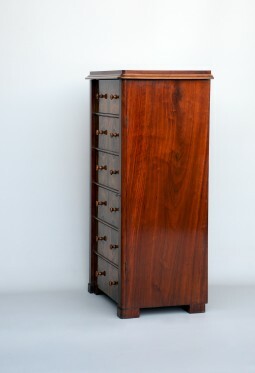 The Wellington chest was made in about 1880 in Scandinavia - Sweden or Denmark. It has the usual hinged locking bar down the right hand side. 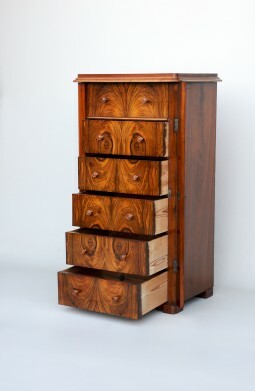 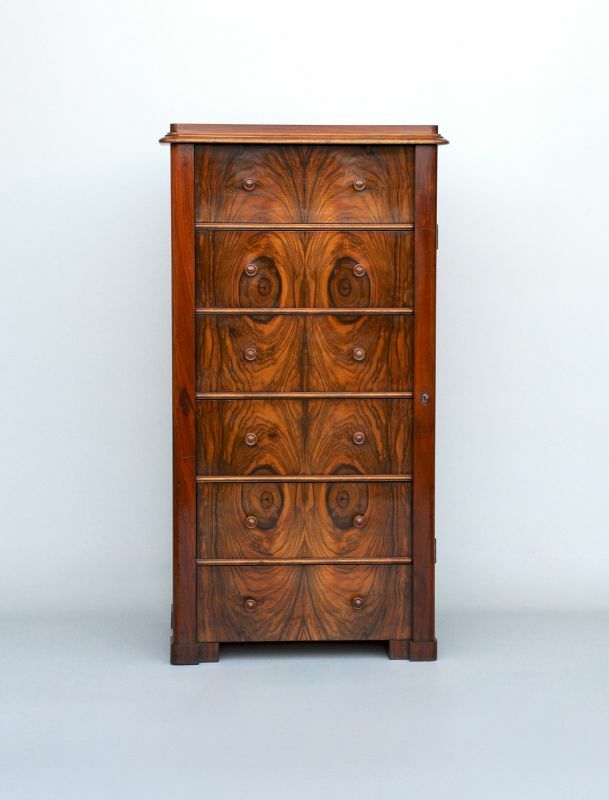 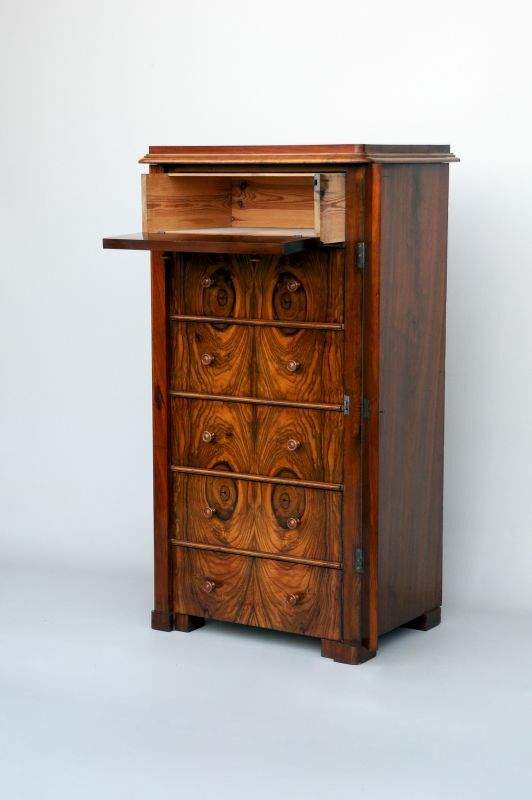 The top drawer pulls forward and the front flaps down. The measurements are 73 cm wide, 54 cm deep and 136 cm high.